The Galaxy S8 will not have edges, the relationship between the screen and the device body will be 90% (similar to Xiaomi Mi Mix). It is only the latest of many news that have been leaking on the next high-end smartphone developed by the Korean company, successor to the Galaxy S7, and thought to redeem itself from the debacle caused by the Galaxy Note 7. A device stand out above all by the absence of edges, a 3 GHz processor and apparently also by the loss of the physical buttons that have always characterized all the cell phones from this company. 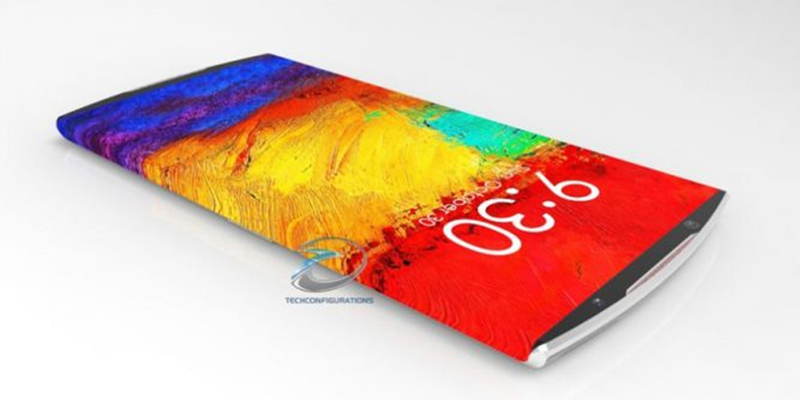 According to The Investor, Park Won-sang, chief engineer of Samsung Display, revealed that the Galaxy S8 will have an OLED screen that will go from edge to edge. "Samsung Display will make a display whose proportion to the body (on a scale which measures the space occupied by the display on the front of the device) will reach more than 90 percent next year," he said during the celebration of the conference IMID 2016 in Seoul. During the conference, Won-sang also presented a concept image of a Galaxy S7 Edge with a home button removed from the bottom of the device. According to this information, Techconfigurations experts have speculated on a Samsung Galaxy S8 truly revolutionary. As has recounts this week Park Won-sang, this should have a screen that will occupy up to 90% of the front surface of the phone, with a small top and bottom on the front line of tiny aspect. Therefore, in carrying out these specs, designers have recreated a edge-to-edge device, but with even more widespread lateral screen and with new features and shortcuts transformed into the software part. In addition to this important innovation, Samsung could also add a pressure sensor on your cell phone to avoid possible errors by touching (especially on the sides of the device). In any case, the screen will have a resolution of 4K remarkable in a diagonal of 5.5 inches or 5.7 (in its second variant of the top of the smartphone, a new name for the Samsung Galaxy S8 Edge, for example).